Disruptive Mood Dysregulation Disorder (DMDD) is a relatively new diagnosis for diagnosing children and adolescents who exhibit frequent outburst, tantrums, or appears to be constantly irritable and angry. This diagnosis was included in the DSM-5 guidelines in 2013 to give a more accurate picture of children who may have previously been diagnosed with Bipolar Disorder, but never truly displayed manic or hypomanic symptoms. The symptoms of DMDD are often marked with chronic irritability as well as severe and recurrent temper outbursts that are considered more severe in intensity and duration than a typical reaction by peers of the same age. Tantrums are not the sole indicator of DMDD. The angry mood between outbursts marks the potential DMDD case. The mood of a child should be noted by multiple sources to confirm objectivity. For example, a child who only displays anger with his/her parents in the home setting but is fine with teachers in school or adults in other settings may not meet criteria for a DMDD diagnosis. Irritable mood and angry outbursts across different situations and environmental settings are necessary for a DMDD diagnosis. · Severe, recurrent tantrum outbursts with verbal or behavioral symptoms manifesting in physical aggression toward people or possessions. · Frequent temper outbursts that are inconsistent with the development level of the child, for example, the child is too old to be having such a severe reaction to a situation. · Temper outbursts occur at least three times per week — and not lasting longer than one day per episode — and are present for at least one year or longer without relief of three or more months. · Outbursts in two or more settings and observed by others like parents, teachers and peers. 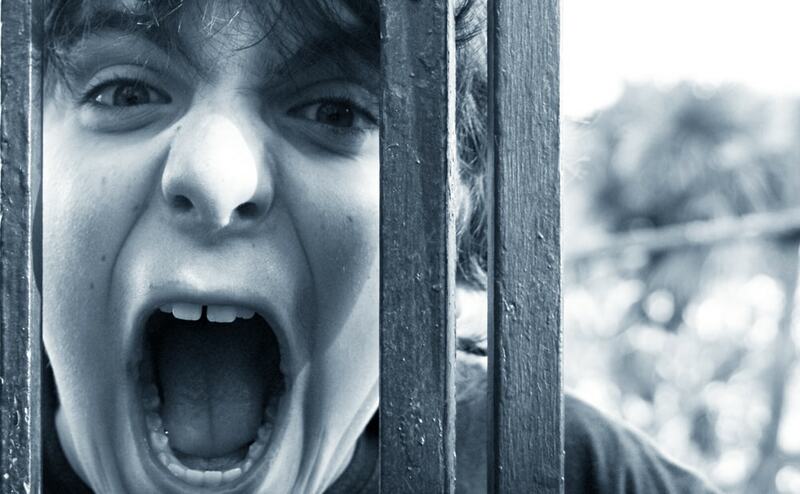 Common settings to experience tantrums may be both home and school. · Chronic, severe and persistent irritability. The quality of life for many children and adolescents with DMDD is quite low, and they often experience low school performance and disruptive relationships with friends, family and peers. Many with DMDD have difficulty participating with friends or taking part in extracurricular activities. Children or adolescents diagnosed with DMDD are at an increased risk of developing depression or anxiety disorders as adults. A qualified mental health professional may diagnose children who suffer from chronic irritability — that cannot be better explained by other mental disorders —with DMDD. Children diagnosed with DMDD have frequent outbursts that may manifest verbally or through physical aggression and occur at least three times a week on average. Tantrums must be a disproportionate reaction and more severe in duration or intensity than a typical response from other children their age. These symptoms must be present for at least 12 months or more without a break longer than three months and occur in more than one setting. DMDD is a relatively new diagnosis for children and adolescents — introduced into the DSM-5 in 2013 — and treatment is based on what has been considered helpful for other disorders with similar symptoms of irritation or outbursts — ADHD, anxiety disorder, major depressive disorder and oppositional defiant disorder. DMDD can be treated with a combination of medication and psychological therapy. Psychotherapy or “talk therapy” is often considered first with medication added later if necessary. Other times, children receive medicines in conjunction with psychological therapy from the beginning of treatment. Parents and caregivers will work closely together with the psychiatrist and therapists to make treatment decisions that are best for the child. · Cognitive Behavioral Therapy (CBT): CBT is the type of psychotherapy most commonly used to help treat children and adolescents diagnosed with DMDD. CBT teaches children how their thoughts, feelings and actions are all intertwined. They also learn that their thoughts and actions can contribute to feeling angry or anxious and vice versa. · Dialectical Behavior Therapy (DBT): A subset of CBT, this type of psychotherapy can often help those who struggle with mood dysregulation. Skills training, which can teach children how to regulate their mood and increase their tolerance for frustration is a part of DBT. Skills taught during DBT include how to improve mindfulness, tolerate distress, manage emotions and maintain healthy interpersonal relationships. · Parent Training: Typical parenting methods can be ineffective with children who are struggling with emotion dysregulation. This treatment method helps parents learn how to interact with their children differently, leading to decreased aggression and unwanted behavior. Parent training also helps improve your parent-child relationships. Treatment for DMDD is individualized and generally consists of both medication management and behavioral therapy. While many parents have their family physician or pediatrician prescribe their child’s psychotropic mediation, it’s recommended that parents work with a board-certified child and adolescent psychiatrist for psychotropic medication management. As children and adolescents are always experiencing growth and change, having a specialist to assist is a significant benefit. They can monitor the effectiveness of your child’s medicine, as well as look for any unwanted side effects, ensuring your child’s well-being. Child and adolescent psychiatrists are also more knowledgeable about other psychological treatment modalities and behavioral interventions specific to mental health diagnosis than family physicians, which provides several benefits to your child’s treatment plan. At Hillside, our treatment team consists of knowledgeable and compassionate board-certified child and adolescent psychiatrists, as well as an experienced licensed therapist. We work with clients and families to tailor specific behavioral interventions and manage medications to decrease symptoms and increase effectiveness. DMDD is a newer diagnosis, making it difficult to find providers who specialize in the treatment of DMDD. At Hillside, our treatment team is experienced and familiar with DMDD diagnosis and treatment and ready to help you in Atlanta, GA.
Hillside is one of the few residential treatment centers for mood disorders in Georgia focusing exclusively on children, teens and adolescents. Our staff is extensively trained on the most effective treatment modalities available, so we can help relieve the symptoms of behavior issues in children and move them toward a productive and fulfilling adulthood. Reach out to us today at 404-846-5118 to learn more about our services, or complete our online contact form.